Dr. Kawamoto is an Assistant Professor in the Division of Clinical Informatics in the Department of Community and Family Medicine at Duke University Medical Center. 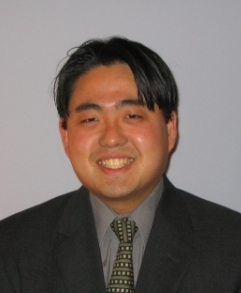 Following undergraduate training in the biochemical sciences at Harvard University, Dr. Kawamoto completed a doctoral training program in medical informatics at Duke University. He will also earn an M.D. from Duke University in 2008. Dr. Kawamoto is an expert on the use of information systems to support clinical decision making. He has designed and/or implemented several operational clinical decison support systems, including a system used to provide point-of-care disease management advice within the Duke University Health System and a population health management system used to manage the health of Medicaid beneficiaries residing in a five-county region in North Carolina. Dr. Kawamoto is also an expert on healthcare information technology standards. He is an active member of the Clinical Decision Support and Services Oriented Architecture committees of the Health Level 7 (HL7) standards development organization, and he is the project lead and editor of the HL7 Decision Support Service project. The HL7 Decision Support Service specification was formally adopted as a draft international standard in September 2006.